Waterproof smartphones such as the Sony Xperia Z5 aren't a terribly new thing, and while they can save you a trip to a phone repair store if you drop them in shallow water, if the handset takes a plunge in anything deeper it might as well have been as waterproof as a sponge as you ain't getting it back. 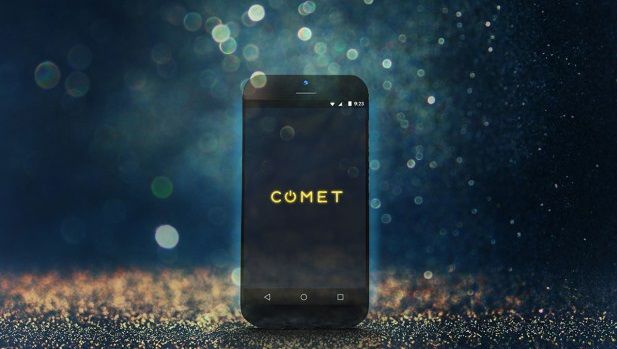 The Comet smartphone aims to change all that by being the first smartphone in the world that can float on water, so if you're feeling particularly clumsy around large bodies of water, at least if you lose grip of your Comet phone it should be easy enough to retrieve. According to the makers of Comet, who have set up an Indigogo campaign to fund mass production of the floating handset, 82.5 million smartphones have been damaged and lost in pools, beaches, oceans and – a bit worryingly – toilets, so there is a real need for floating handsets. As well as being able to float, the Comet is IPx7 water-resistant, which means it's protected against being immersed in water for 30 minutes up to a depth of one metre. It also comes with a “high speed” processor – though the makers are being a bit vague on that front, as well as a 16MP camera and Android 5.1. If the Comet campaign reaches its goal it will retail for around $399, but you can save some money by helping fund the campaign, with an Early Bird donation of $249 getting you a 32GB Comet, with delivery expected around April 2016.